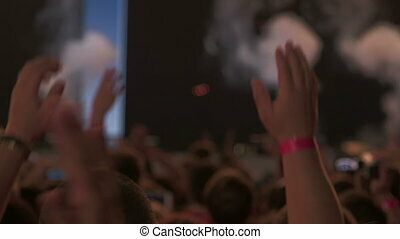 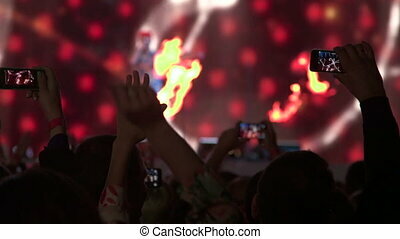 Crowd at music concert . 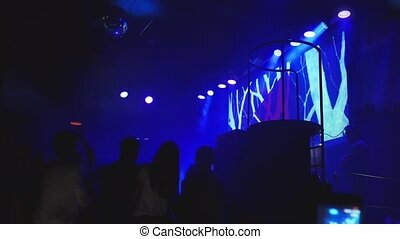 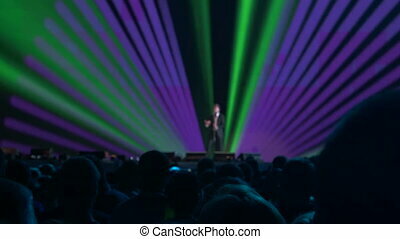 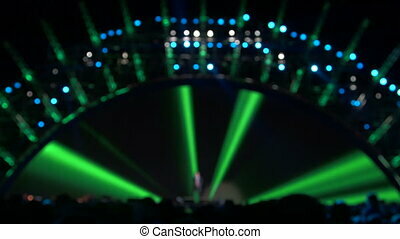 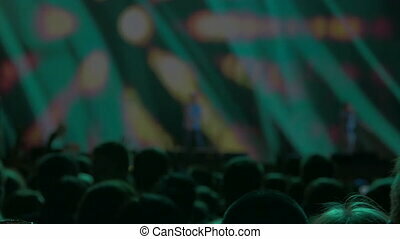 lifestyle cheering crowd in front of bright colorful stage lights. 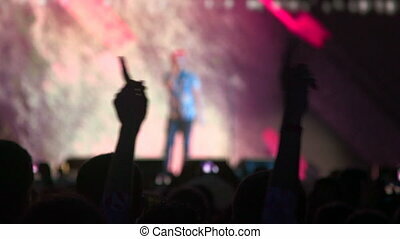 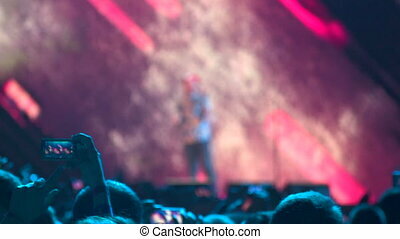 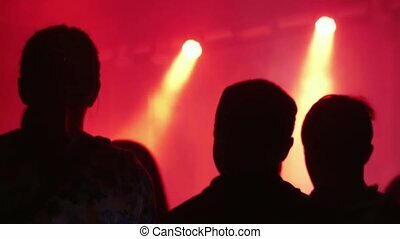 silhouettes of concert crowd in front of bright stage lights. 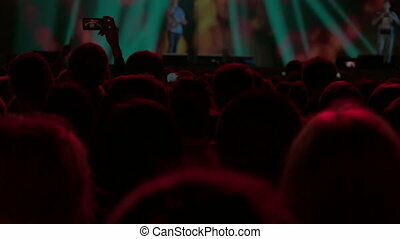 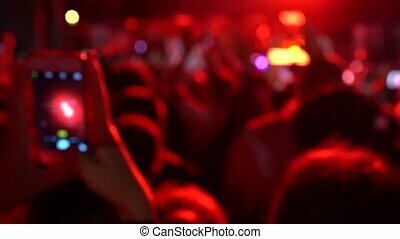 crowd of people at a concert concept night. 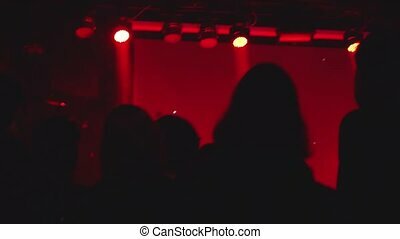 Crowd At Music Concert . 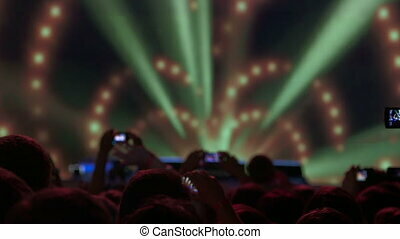 Lifestyle Cheering Crowd In Front Of Bright Colorful Stage Lights.